“I will not be participating in the Pinterest Olympics on February 14th this year. –Sarah F., my friend and the real MVP. Valentine’s Day is tomorrow and I have tried to sit this one out. I’m not a Valentine’s Day Hater, honestly. I’m barely recovered from Christmas and simply not ready for any holiday hoop-la. 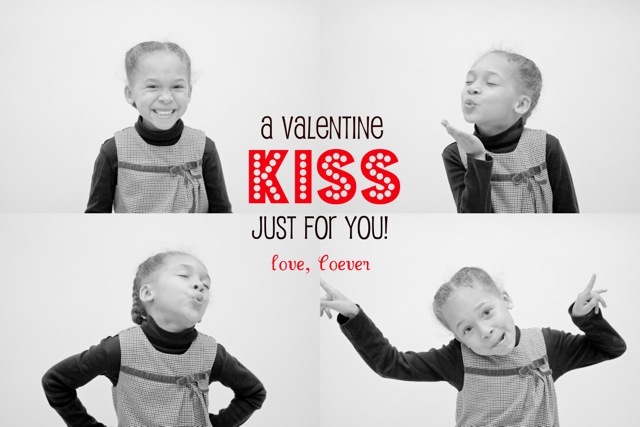 The girls are foaming at the mouth in anticipation of stuffing their faces with conversation hearts, chocolate kisses, and all manner of Cupid themed sugar love snacks. 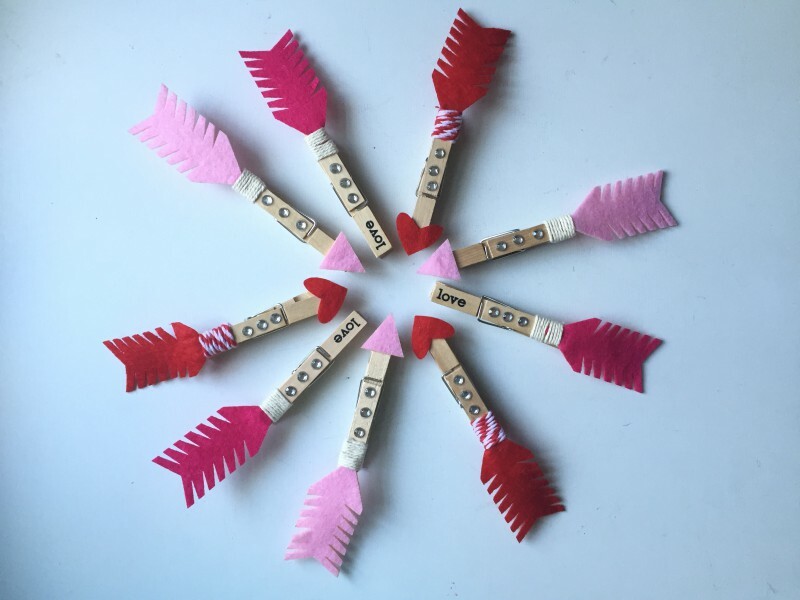 The Valentine paraphernalia has been out in prominent display at most retailers since, December 27th (not joking), so my girls are pretty much at the frayed end of their ropes as they wait for another chance to get crafty and get candy. 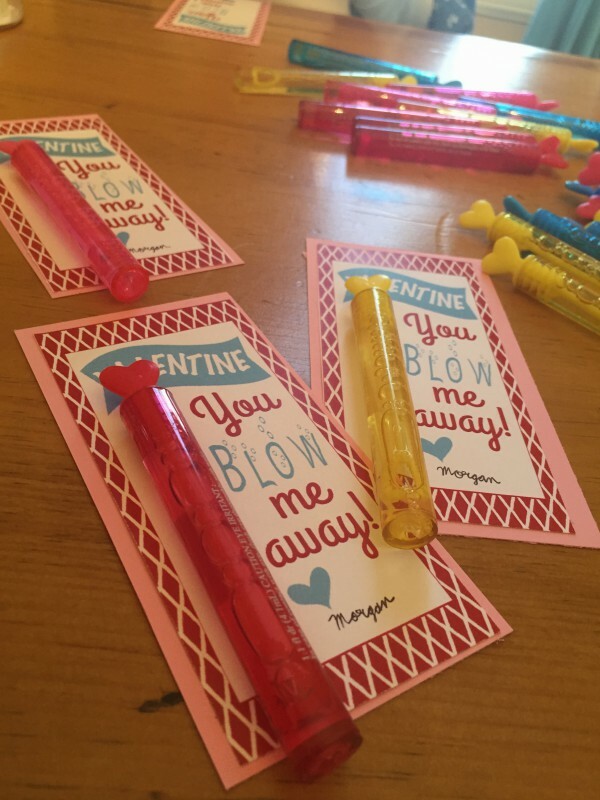 In the past, I started making the girls Valentine goodies, with a little input and help from them of course, the girls and I figure out what kind of Valentine they’d like to hand out. Every year that they’ve handed out little homemade love notes, I’ve been compelled to make each subsequent year a little cuter, a little craftier. I know, I’m an idiot. Truly, Valentine’s Day has become the Craft Olympics, sponsored by Pinterest. We did the photo with the lollipop one year. We did a photo booth with Hershey kisses. 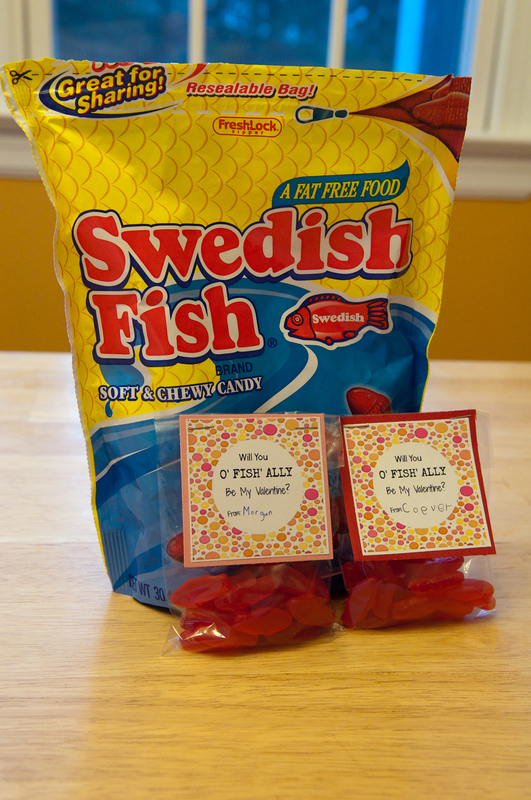 2014 saw us put together Swedish Fish with a request: “Will You ‘O-Fish-Ally’ Be My Valentine?”. Two years ago, we did Kool Aid and Crazy Straws. 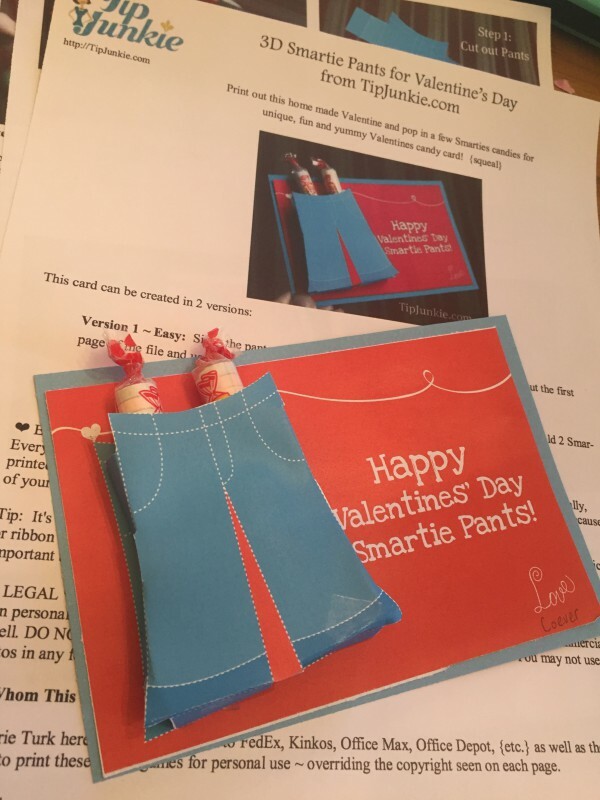 Smartie Pants Valentine’s for C.
You Blow Me Away Valentine’s for M.
You’re All Write Valetine’s for V.
I’m even more tired just looking at these. Which brings me to this year — I’m to doing it. I’m not making Valentine’s day crafts for the girls or with the girls or having a hand in any form or fashion to spread love on the 14th. I’m out like Obama. And why? Why am I being such a hard-hearted Hannah? That’s easy — a sista is tired. Yup, I said it. I AM TIRED. For the past handful of years, I have done the most. While I do enjoy crafting and while I do enjoy the challenge, this year, I just don’t have the gas. There are no conversational candy hearts in my tank to power me through the cutting and pasting. Add to that all of my crafting stuff is in various totes and boxes scattered around the third floor because OFFICE NOT FINISHED (sorry for yelling). There is’ not place to spread it out. Shoot, I don’t know what I have. I don’t want to raid AC Moore only to find out now I have three glue guns, two FISKARs straight edge cutters, and enough glue dots to bring the total up to 105 Dalmatians. What I decided to do instead was take the girls to Target and let them pick out whatever they liked to give to their friends. I tried to sway them into valentines that had stickers, tattoos, or scratch pads. 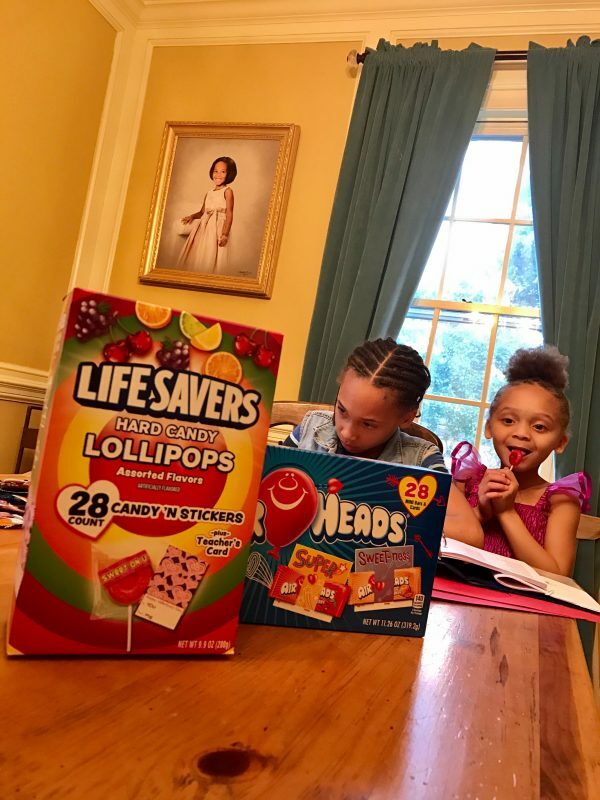 In the end, because I don’t want to make everything a battle royal (but mainly because I’m tired), I let C get Airheads and V get lollipops. To which I replied, in my head, “Nah”. Out loud, it went more like, “What else can you bring? Chips? Done.” Comes the night of the dance, and off M goes, in head to toe pink carrying bags of Doritos for the masses. But back to the Valentine’s for the younger ones. On one hand, I have mother’s guilt bubbling up for not doing the crafty card. I’m letting down the sweet-faced kiddos who like the punny, Valentine sentiment. Oh, who am I kidding? I’m feeling guilty for not doing it because I don’t want any Judgey McJudgerson (real or imagined, but mostly imagined) giving me side-eye. Yes, I care what other people think! I admit it! And yes, I know that I shouldn’t, but I can’t help it! Oh wait. . .I’m Type A. I forgot. And while I may have forgotten that, I have picked up a useful skill along the way. I’m learning to identify what my limitations are. 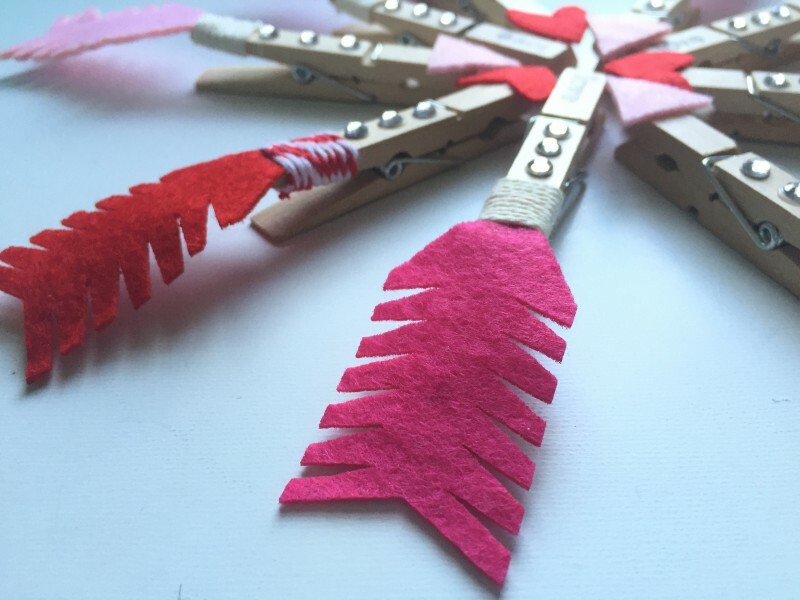 Saying yes to Valentine’s crafts is a limit. A hard limit. This is me going rogue, people! I’m stepping away from the glue gun! Store bought Valentine’s today, store bought Valentine’s tomorrow, store bought Valentine’s forever!! 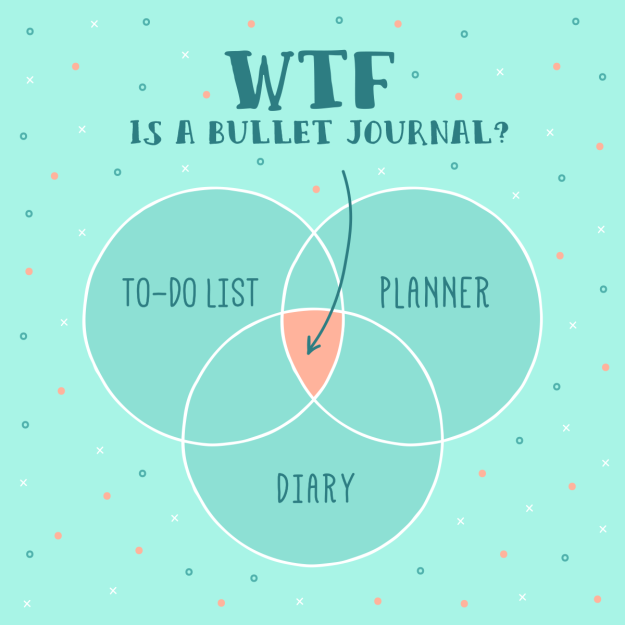 Do you know what BuJo is? It’s shorthand for bullet journaling, a creative, and personal way to chronicle goals, make plans, keep track of inspirational quotes and all manner of either mental glitter. Buzzfeed, Pinterest, and Instagram have been swollen with tips, tricks, and ideas on how to get your BuJo on. YouTube has countless videos that turn dotted blank pages into drool inducing organizational layout. 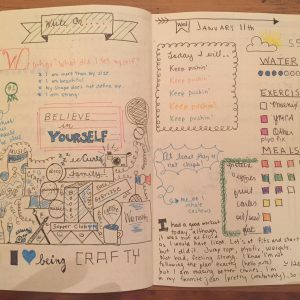 Around the end of November, early December, I began to see more and more articles about bullet journaling. With the impending start to the New Year, bloggers and Pinners were touting how BuJo was the way to go for 2017. Track you fitness goals! Track your savings goals! Track yourself on how well you track your tracking! There were links to templates and guides. There were step by step tutorials on how to write in calligraphy using only a fine tip pen and some matches. No, not really with the matches. When I wrote about making plans for 2017 while it was 2016, BuJo was on my list (gah, every time I write that (BuJo), I think this is exactly how I feel when I hear people say artisanal and bromance and moist). But a place where to-do lists, a diary, and a planner all come together using wash tape, markers, and doodles?! Um, yes! Paper! Pens! Organization! Take my money!! I order this gorgeous moleskin notebook and some fancy micro-line pens. Between December 20th and January 1st, I went all in getting my BuJo plan sketched out and BuJo templates ready. 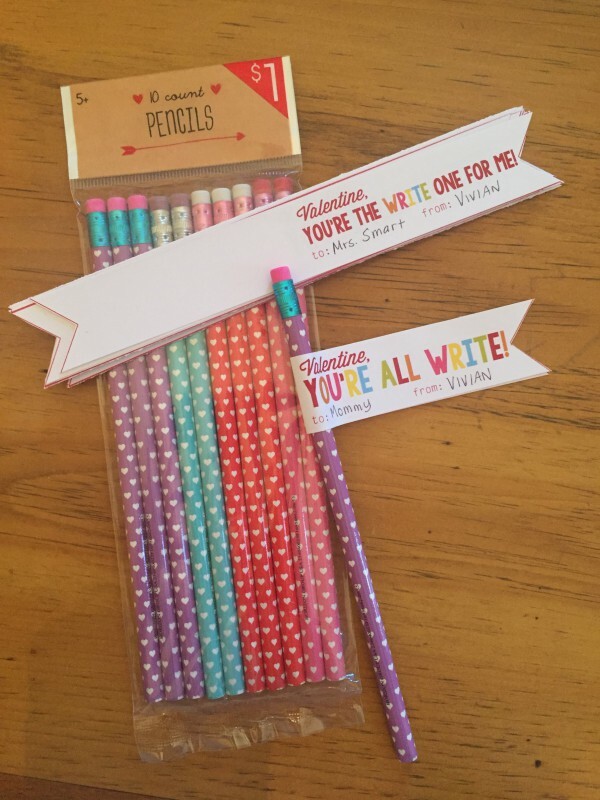 Me adding flair to my BuJo pages. You can make your BuJo as plain or as intricate as you like. Most articles say that a true BuJo has an index, a key, color coding, and calendar. 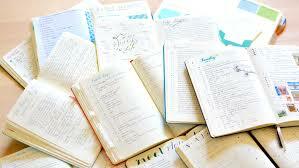 You’re supposed to number all of your pages, set sections for future logs, monthly goals, yearly goals, and so forth. 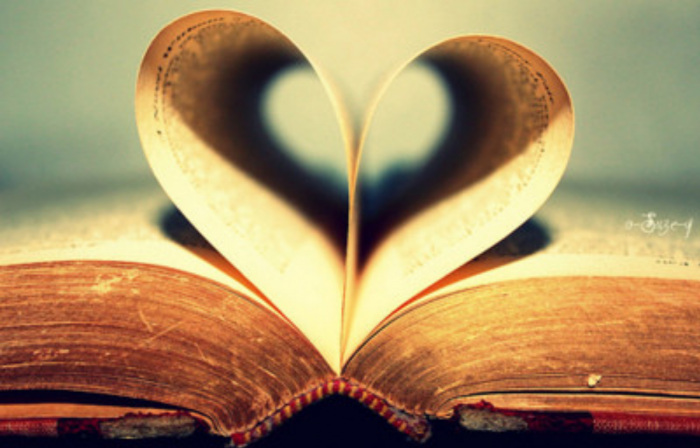 The more I read, the more inundated with ideas I became. I knew that I’d sink under the weight of all the possibilities, so I scaled back considerably. On a separate piece of paper, I outlined the areas I wanted to focus on and tried my hand at drawing banners, arrows, and fonts. My first task was to spend the first three weeks of January keeping a food and fitness tracker. I had a place to put in what the one thing I would do for the day would be. I had a spot for doodles, quotes, and other motivational tidbits. The backside of each page would be a place for me to write down my thoughts, ideas, and to do list tasks as they came to me. I called this page “Brain Dump”. After I filled up the three weeks worth of pages, I set up some pages for goals related to family, marriage, self, and work. I had page dedicated to places I’ve been and places I’d like to go. I had a page for quotes. There was another for restaurants I’d like to try. All of the pages were decorated, doodled on, and thick with wash tape. Oh yeah, I was doing the most, per usual. Several times, the Hubs would join me in the dining room (yes, I’m still working there) to knock out some paperwork. “That looks like a lot of work,” he’d comment, shaking his head, as I capped and uncapped pens, drew straight lines. As I furiously scribbled, I assured him that it was actually kind of fun. I love paper and getting crafty. I got shivers of satisfaction with each completed page, every straight line, and every color coded check mark. BuJo was tapping into all facets of my creative side. What I failed to realize (or maybe just skipped over this part in all of my reading and scrolling) is that BuJo is time-consuming. Like, Facebook and Instagram time consuming. Like when you sit down and the sun is high and you look up and it’s pitch black outside. I would crack open my book, slip out my cool pens, and the next thing I know, the kids are holding out their cupped palms, imploring me to make them some food, Dickensian style. Dust was piling up like snow drifts on all available surfaces. Laundry lay in various stages of completion in buckets at the top and bottom of the stairs. I had to figure out how to add this newest spinning plate to the full service of dishes, cups, and what not that were already whirling like dervishes overhead. Here’s what I learned: I couldn’t add another thing without putting something else down, intentionally or otherwise. 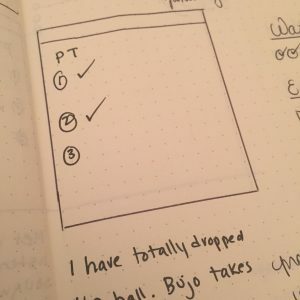 When I gave BuJo 100%, the blogging fell off. 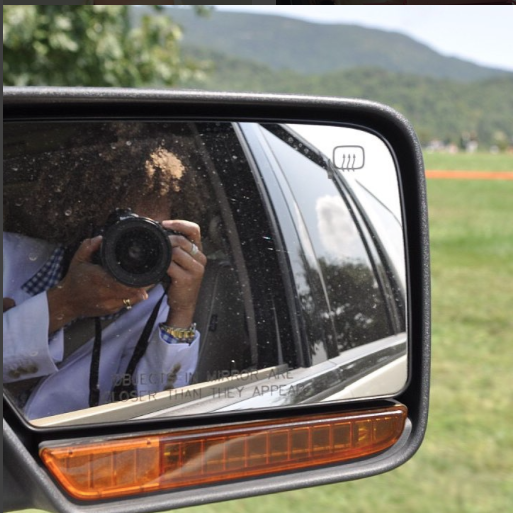 That was no bueno, so I picked up the blogging, but the photography got pushed down. Can’t do that. My response time to emails and texts plummeted as I drew straight lines and bubbled in circles to denote how much water I had consumed. Finally, one Sunday when the Hubs ferried the girls hither and thither, I put the BuJo aside to attack the massive myriad of things I’d neglected. I didn’t pick up my fancy pens or my special ruler. I wouldn’t until I’d taken care of business. Lots of the articles I read said things like don’t overthink it, there’s no such thing as perfection, you can make it as time-consuming as you’d like. I feel like they were talking me down from the ledge before I even got started. Guess what happened? 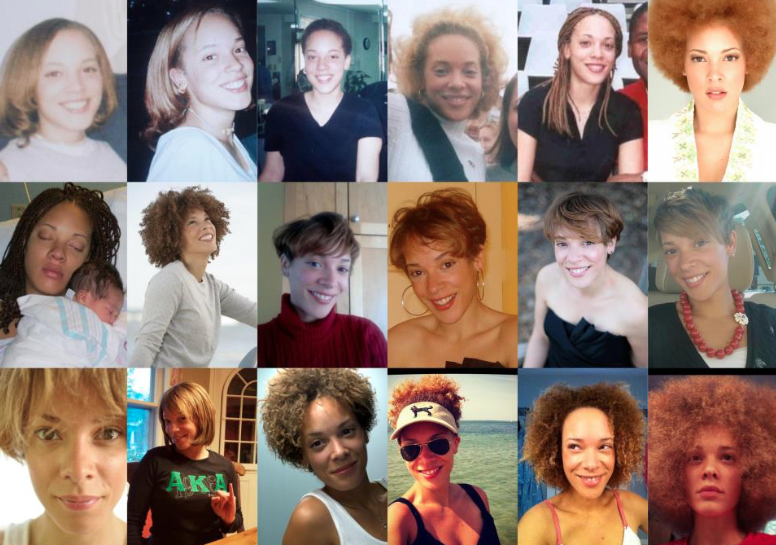 I went from this (left) to this (right). BuJo wiped me out. Two weeks in and I was done. Of course, this wasn’t a challenge or a competition or anything. It was just me trying something new and seeing how it worked out for me. I hate to quit anything, so there is a little of something like failure trying to find a foothold in my brain. I’m not letting it get any purchase, though. I’m keeping my new notebook, along with my daily planner, my stack of post-its, my mini notebook, and my book of random thoughts. I plan to flip it open when I’ve got an idea or when I need a reminder of some of the gems I’ve already captured that need polishing. Or I can just fill it up with doodles. 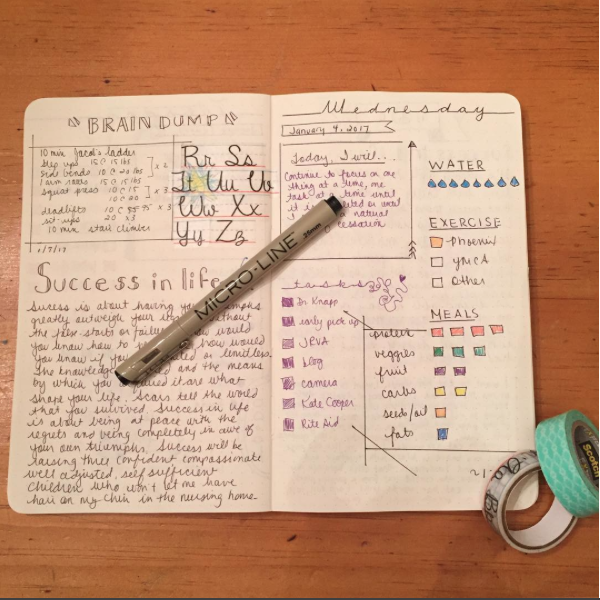 Would you try bullet journaling to keep track of your goals? Tell me about it! This week has been a veritable craft-a-palooza over here. And since I’m so crafty, I signed up to donate two gift baskets to an upcoming auction and what I thought was going to be relatively easy, has turned into a mad dash from craft store to Target to grocery store to Dollar Tree and back to the craft store. Why is making a Movie Night Gift Basket and an Ice Cream Sundae Gift Basket giving me night sweats? It should not be this difficult. Oh wait. . .I’m Type A. I forgot. On top of that? 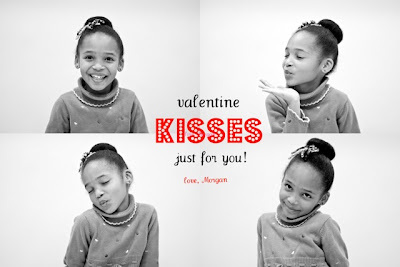 Valentine’s Day is quickly approaching and the girls are foaming at the mouth in anticipation of stuffing their faces on conversation hearts, lollipops, chocolate kisses and all manner of Cupid themed sugar love snacks. The Valentine paraphenalia has been out in prominent display at most retailers since, December 27th (not joking), so my girls are pretty much at the frayed end of their ropes as they wait for another chance to get crafty and get candy. 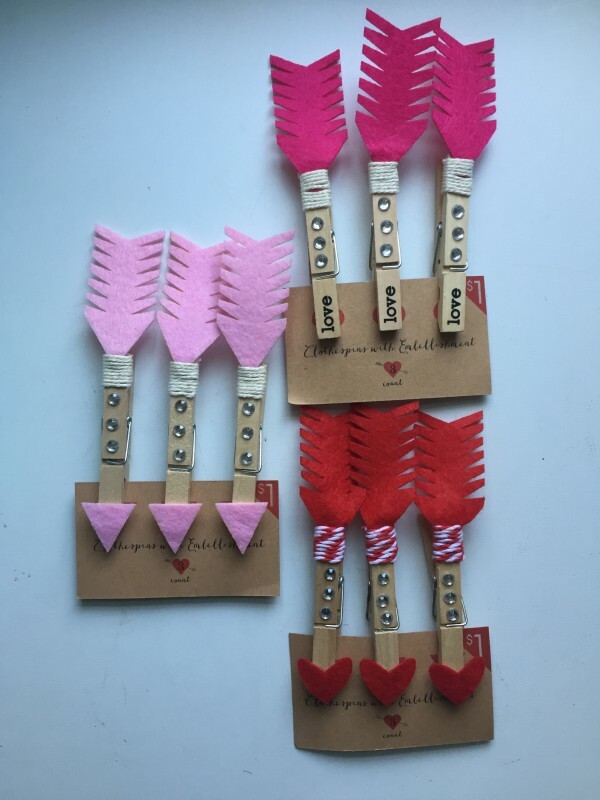 I started making the girls Valentine goodies, with a little input and help from them of course, after an overwhelming trip to the store one year. 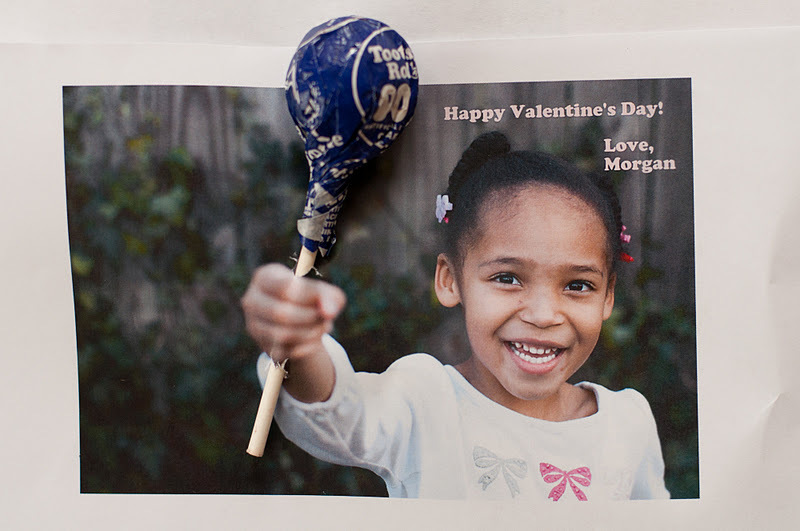 Gone were simple punch out and hand out Valentine’s. We were overrun with temporary tattoos, pencils, all manner of chocolate confection, Silly Bandz, stickers, and lip-glosses. There were singing bears, kissing bears, hugging bears, and for the grown-ups, bears promising naughty favors all in the name of love. There were heart shaped garlands, Cupid shaped garlands, streamers, balloons, and assorted party products. Every major character got into the act — Hello Kitty, Tinker Bell, Woody and Buzz, Barbie, and Lightening McQueen. The girls made their selections, though it was not without several changes of heart before we made it to the register. M kept insisting that we needed more stuff, despite the cart being stocked with glue, paper, scissors, double sided tape and heart shaped confetti. I couldn’t figure this pressing need for more, more, more. We had gotten her Valentine’s. C was stocked, too. They had about 20 kids in their respective classes; I wasn’t going to include the other homeroom or the teachers. Or the principal. Or the director of admissions and the development officer (yes, I’m the Valentine Grinch). What could she possibly want or need? “We need to decorate!” she declared. “Why would we need to do that?” I asked. Of course, how could I have forgotten? If there’s a mascot for a holiday, my kids know about it and have their job description memorized — you know, so whoever is supposed to show up doesn’t short the girls on their due. I need to work an attitude of gratitude because the greed in their eyes would make Gordon Gekko re-evaluate his life choices. Every February as the 14th approaches, I help the girls figure out what kind of Valentine they’d like to hand out. At first, it was pretty easy because M was the only one who handed out Valentine’s. C’s two years behind her in age and three years behind her in school, so I had, unknowingly, a bit of a reprieve until she started school. Since I’ve they’ve started handing out little homemade love notes, I’ve been compelled to make each subsequent year a little cuter, a little craftier. 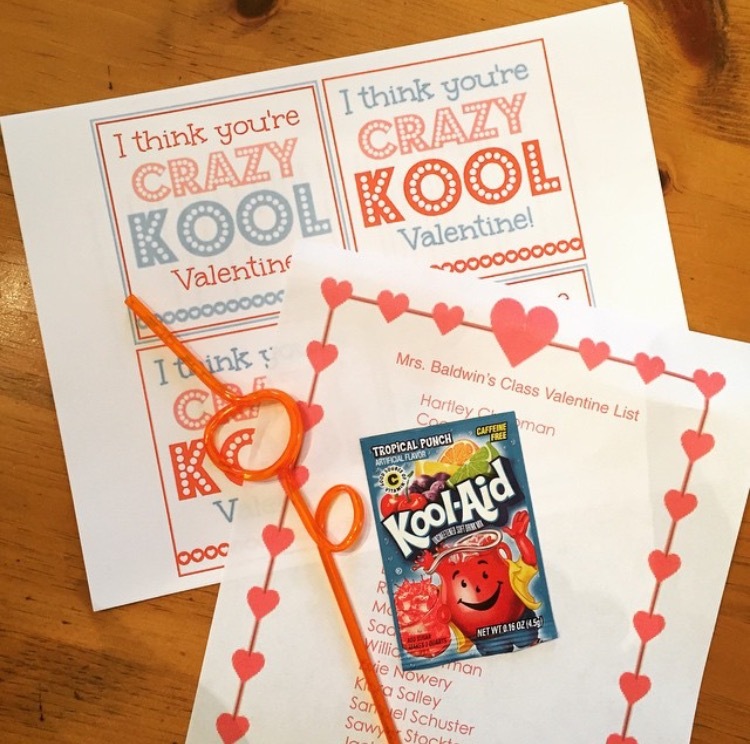 Last year, we did Kool Aid and Crazy Straws. This year, however, two things changed, namely that M and C didn’t want to do the same thing and that V wanted in on the craft-tastic action. So, here’s what we came up with. We are just so “punny”! I was really surprised that M opted not to do a candy related Valentine this year. C is my candy-holic, so her choice was expected. As for V, I couldn’t remember if her morning class or her after-care class had allergies, so I decided to forgo treats altogether. The girls and I put these crafty creations together two Saturdays ago, which means, it was still January. Yesterday, C couldn’t contain her excitement. She brought her treats in to school even though the class party isn’t until Friday. When I picked her up after school, she still had her treats, saying that her teacher told her she was too early. No big deal; we don’t have anything perishable. Oh, well. . .there you go. Another text comes in and then another, each one wanting to delve into my commitment to send in candy coated Valentine’s on Friday. I asked C if her teacher said anything about the valentine’s not having candy. Trying to get a straight answer out of a second grader is an exercise in futility. I vaguely remember a hot pink sheet coming home last Friday that had the class lists on it. Was there a “no candy banner” on there? I can’t recall. I text this question to a few friends who tells me there wasn’t anything on the sheet about it. You know what? I’m not making new Valentine’s. I don’t have the parenting energy to deal with the inveitable snot-filled, teary fall-out that is sure to come once I tell C that we can hand out candy-grams. This is me going rogue, people! It’s Valentine’s Day and there will be candy! 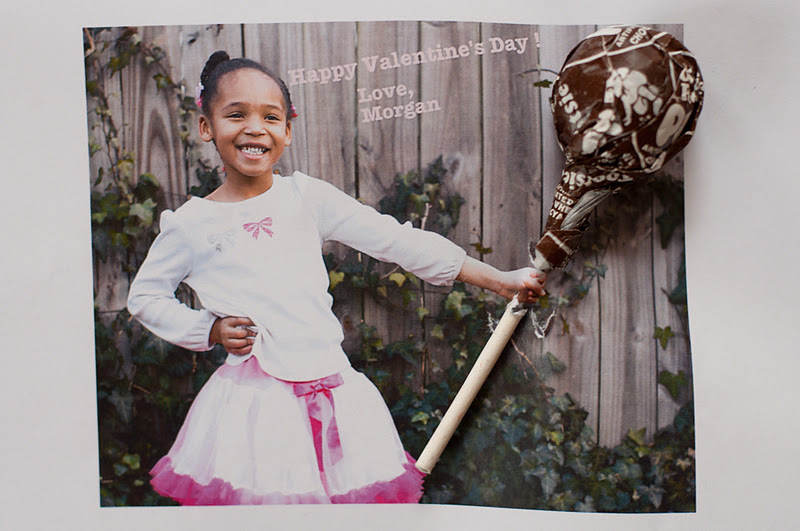 Are you getting crafty with candy-filled (or candy-free) Valentine’s this year? I mean, they lurve it. They’re asking me what’s for dessert as they’re setting the table for breakfast. They come by it honestly, thoug. I love dessert, too (big surprise). What I don’t love, however, is how what started out as an occasional after dinner treat has mushroomed into an overwhelming sense of entitlement to some kind of post-dinner confection from my girls. Do I only have myself to blame? Probably. I don’t remember when we introduced dessert as part of the family meal to the girls. What I do know is that whenever they are insistent on having dessert every.single.night, I have to crack down. I start offering fruit as an alternative, which, as you can probably guess, is about as well received as paper parasol in a typhoon. When the fruit alternative fails to quell their desire, I go all or nothing. Either you can have what I offered or nothing at all. There are tears. There is the renting of clothes. M may have gone so far as to don some sackcloth and ash on occasion, but she was stomping up to her room in disgust so fast, I can’t be sure. It was like seeing Bigfoot in the woods. A friend of mine, C, told me how she stopped giving her girls dessert — cold turkey — after she and husband realized the additional sugar was making them crazy. Her girls were moody, cranky, refused to go to bed, and were all manner of unpleasant until C figured out it was dessert. So, she cut them off — ka-cha! — and for two weeks (TWO WEEKS!! ), her girls went through the dessert DTs until their behavior and moods regulated, and the desire for sweets abated. Whew! I don’t know if I could survive that. I don’t know if M,C, and V could survive me trying to survive them trying to survive that. Still, something has to be done. In truth, I go through phases with the dessert. If the requests come few and far between, then no problem. I’m happy to have you guys grab some ice cream or a novelty from the freezer. You can have a cookie or baked good if we have them. 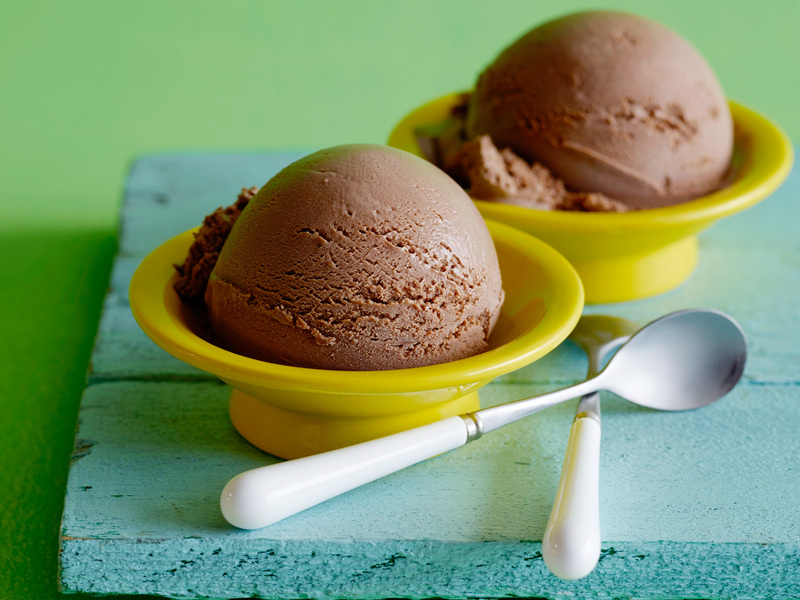 When it’s every night — can we have dessert? can we have dessert? canwehavedessert canwehavedessert khaved’srt — GAH! NO! No dessert, not now! Not ever! I’ve tried to stop linking membership in the Clean Plate Club with membership into the After Supper Sweets Squad (yeah, I just made that up). I don’t want them to eat their dinner just so they can have dessert. On the other hand, I don’t want them to say that they’re no longer hungry, don’t have dessert and then come time for bed, “Oh Mom, my stomach is rumbling. Can I have a snack?” That’s happened more times than I’d like to count. And for the record, nothing is more panic inducing than being woken up in the middle of the night by your children crying for you. When you find out it’s because of hunger pains and they’d like something to eat, the panic stems from the speed with which you want to throw all your good parenting skills out the window. 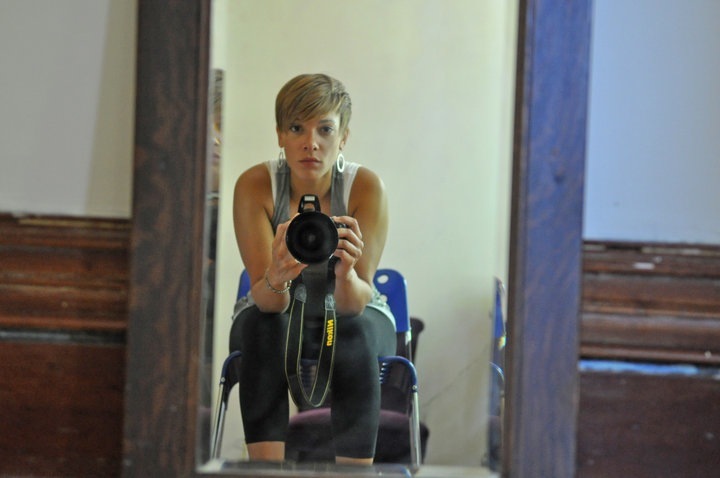 We all know the media representations of what our bodies should look like is pervasive. We all know those representations are the exceptions, not the rule. I have my own hang ups about my body. I’m doing my best not to let my girls be privy to that. When they ask me why I’m working out or why I’m using measuring cups to portion out my food, I tell them it’s because I want to be healthy and to live a long time (not because I’m trying to get back into my pre-Christmas clothes). In an effort to promote more healthy eating, we’ve told the girls that dinner is whatever I put in front of them. That’s usually a protein, a generous serving of fruits and veggies and maybe some kind of carb. If they finish their meals — without shoveling food into their maws — and truly are still hungry, they can either have more protein and veggies or they can have dessert. Those are the options. This plan has served me in good stead for a while. I started noticing that, even if they had the second helping of protein and veg, they were still asking for dessert. And sometimes, they were still getting it. Okay, a lot of times they were still getting it. After a while, the pattern changed. They began to assume that they were having dessert. It went from asking me, “Mom, can I have to dessert?” to “Khave d’sert?” to just opening the freezer or pantry and rooting around like a racoon. The new plan went into effect on Monday. Each of my girls gets a set of three clothespins which ring the mouth of a quart size container. Whenever they want dessert, they must drop one of their respective clothespins in the jar. Do you remember I said each girl has a set of three? One set of three pins. That means you can only have dessert three times over the course of a week. If they decide they want to have dessert Monday, Tuesday, Wednesday, fine. If it’s Monday, Wednesday, Friday, fine. Tuesday, Thursday, Sunday? Whatever makes you happy, kiddo. There is no cashing in all the pins on one day, by the way. The pins get pulled out of the jar at the start of the next week and we begin again. This is totally going on Pinterest. I had planned to make my own clothespins and by that I mean just write their names in cursive on a clothespin. When I found these pins at the Dollar Spot at Target, well, I couldn’t resist. I had an unused quart container in my Tupperware cabinet. I’ve even got a cute little poem percolating in my mind to affix to the jar when I get the chance, too. I set it up, sat the girls down and explained it to them. Even V, who is still mastering the concept of the days of the week. Today is Thursday and here’s where we stand on pins. Kind of not surprised by the tally. Kind of expecting some fussing and some tears tonight after dinner. I’m going to hold up the jar, though, shake the pins and remind them of the new plan. And after they go to bed, I’m going to have dessert. Do you have dessert after dinner? What’s your favorite? Tell me about it in the comments!